Cupcakes are making such a statement nowadays. What makes a cupcake? The frosting of course! A cupcake without frosting makes a muffin, a muffin with frosting makes a cupcake. This most defining feature differentiates the graceful cupcake from the rustic wholesome muffin and the range of cupcake decorations is almost infinite as one’s imagination. So to kick-start your cupcake frosting journey, here are some basic and simple guides to frost a cupcake. For beginners, you’d want to use a large/jumbo decorating tip. 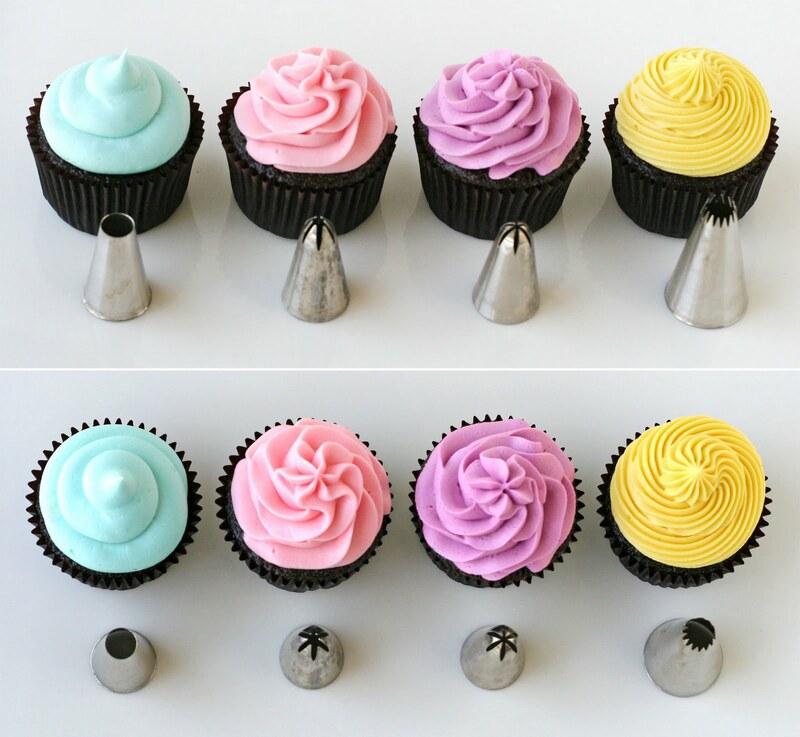 Above are four most common shapes/tips for cake decorating. Classic Vanilla Cupcake with Buttercream Frosting recipe available here.